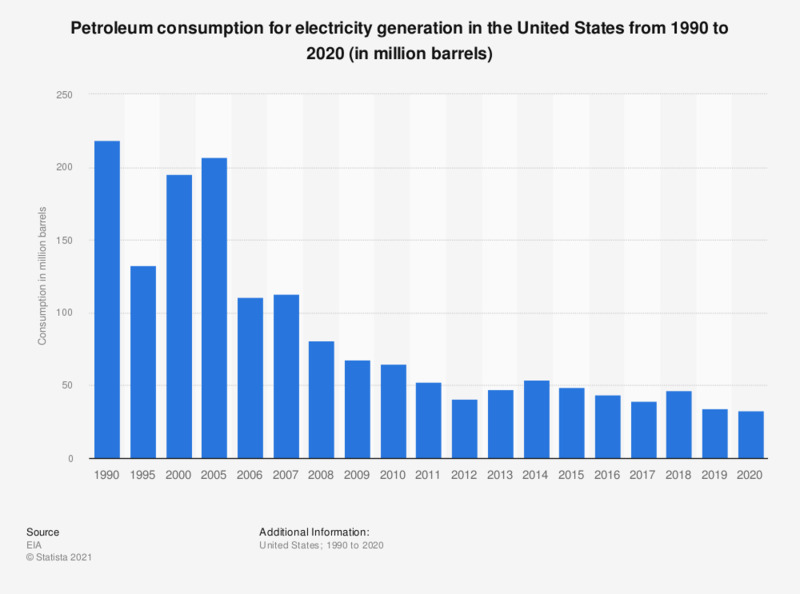 The statistic shows the consumption of petroleum for electricity generation in the United States from 1990 to 2017. In 2017, the United States consumed approximately 39 million barrels of petroleum in order to generate electricity. Statistics on "Energy consumption in the United States"